Home / US / George H.W. 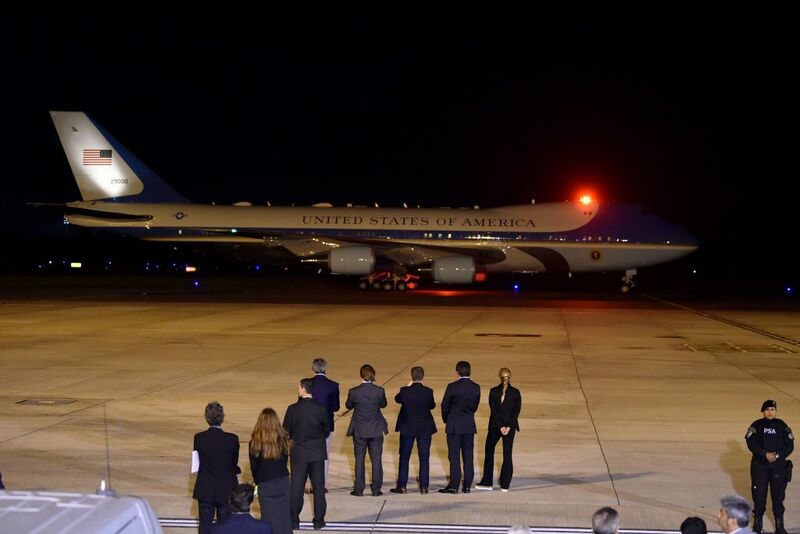 Bush's last flights on Air Force One called the name "Special Air Mission 41"
George H.W. Bush's last flights on Air Force One called the name "Special Air Mission 41"
Former President George H.W. Bush is taken aboard Air Force One to Washington DC Monday morning to lie in the US Capitol. The last flights of the 41st President of the United States, however, are particularly excellent, reports CNN. On Sunday, Bush spokesman Jim McGrath tweeted that the flights are referred to as "Special Air Mission 41". Houston's flight to Washington DC will see the sons of the 41st President, George W. Bush, the 43rd President of the United States, Neil Bush, and several grandchildren, CNN said. Family friends on the flight will George H.W. Bush's former Chief of Staff Jean Becker and Secretary of State James Baker. Also on Sunday, McGrath shared a photo of Bush's companion dog, Sully, lying in front of the president's casket. The photo has been shared more than 14,000 times since Sunday evening. Although his time with Bush has ended, Sully will continue to work with wounded US veterans. Wednesday morning in the US Capitol Rotunda, followed by a funeral in the Washington National Cathedral. Bush is then flown back to Texas and arrested at George H.W. Bush Presidential Library at College Station, Texas, near his wife Barbara, who died in April, and his daughter Robin. The White House announced on Saturday that Trump and First Lady Melania Trump will attend the National Cathedral on Wednesday. Although their presence is not certain, Presidents Barack Obama, Bill Clinton, and Jimmy Carter are likely to attend as well. The relationship between the 41st President and the other four men was very different. Bush's note to Bill Clinton when Clinton took office has become viral in the days since Bush's death, while both Obama and his wife Michelle have been paying tribute to Bush for years. Michelle also canceled appointments on her European book tour to attend the funeral. However, Trump and the Bush family often disagreed, while the 41st President described Trump as a "fake" while working on a book published in 2017.